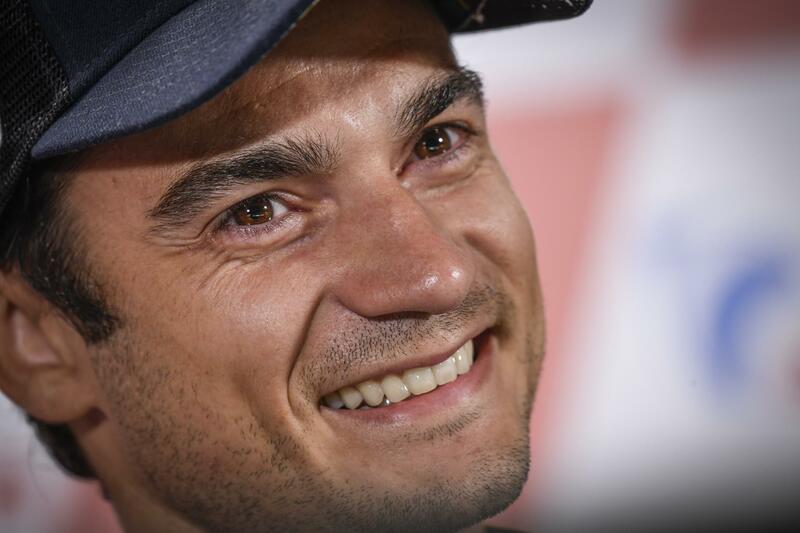 Today, MotoGP stalwart Dani Pedrosa announced that he will be retiring from the sport at the end of this year. This is quite a surprise for many because, at 32 years-old, he is a good deal younger than the MotoGP godfather, Valentino Rossi, who has signed for another two years with Movistar Yamaha despite being 39 year-old. He did lose his ride at Repsol Honda after 13 years with the team, but he did have other options, including a ride with the new Petronas Yamaha squad in MotoGP, plus we are sure there will be a queue of World Superbike teams with signing pens at the ready. This would mean he could continue his career that he has had in international racing since he was 15, he could continue to throw millions of Dollars into his bank account and can remain in the limelight. But no, Dani has instead decided to bow out, announced in an emotional press conference today where he, and the room of journalists, struggled to hold back the tears. Why would he do that? In many ways, I can understand. I raced in our national superbike series for a number of years, and was never really a championship contender, but I could nab a strong top ten, something not to be sneezed at against the likes of Sheridan Morias, Hudson Kennaugh, Russell Wood, Greg Dreyer, Arushen Moodley, Shaun Whyte, Lance Isaacs and Stewart Macleod. I started my national career aboard a 600 when I was 19 years-old. At that stage, I was a full time racer who had a sideline hobby doing a degree at university. My parents believed that it was the other way round, and I never had the heart to tell them differently. When I finished at varsity, I began working as a full time racer with a hobby of motorcycle journalism, which was a great way to pass the time between riding at the track on weekends. As I progressed into my mid-twenties, my hobby as a journalist became more pressing, and this took its toll on my racing. There was less time to practice, less time to go to the gym and, most importantly, less time to think about racing. My top ten finishes became top 15 placings, and soon top twenties became quite a slog. My national racing career ended one fine day during the Friday practice at Zwartkops. The race was on Saturday, and on Sunday I was due to fly out to Italy for a Husqvarna launch. At that stage, Husqvarna was imported into the country by Italmoto, run by the ever-effervescent Marco Liberatore and crew. They were not a big outfit, like we see with most importers today, and he had emptied every piggy bank and searched between the cracks in every sofa to pay for my trip. During the first practice session, I went barrelling into turn one at Zwartkops, a fast, off-camber left hand sweeper, when the front chattered slightly and tucked. I was able to save it, but I had a huge epiphany right there and then – If I bin it here, I’ll probably slide into the ridiculous tyre wall just off the track and there’s a good chance I won’t walk away from it. A few years before, such thoughts would never have entered my mind. I was racing and racing was all that counted. The thought of being injured just didn’t matter. But here and now, if I were injured, poor Marco would have paid a fortune for me to go on this important launch, and I would not be able to go. There were three practice sessions that day. I was stone last in all of them. At the end of the day, I packed up my race bike and gear, and went home. The race happened on Saturday, and I had a great time watching it from the grandstands, overjoyed at having that pressure gone. This was the South African National Superbike Championship. To us, at that stage, it meant the whole world, yet compared to other national championships it was somewhat Mickey Mouse. I cannot even begin to comprehend the pressure on those brave men that line up on the MotoGP grid every race. It must be more than mere mortals can handle. Dani Pedrosa currently sits in 12 place in the championship, his lowest position since he started the premier class in 2006. This is a guy who was in the title chase for most of his career. Many things contribute to this. The first is the number of injuries – his list of broken bones circumnavigates his entire body. It looks more like something found in the world of freestyle motocross than the relative safety of circuit racing. Some of these injuries were not his fault, and even ended promising title challenges, including the broken collarbone when he was taken out by Marco Simoncelli at Le Mans, the other broken collarbone when his throttle stuck open at Motegi and his crash at Aragon when his team mate to took out his speed sensor. This all plays on his mind. More woes for Pedrosa include the Michelin tyres that he has never really got on with especially as his light weight battles to generate heat in them. Then he has a superstar team mate in Marc Marquez. If you want to build theories, look at his results since Marquez joined the team in 2013 and you will see a good deal of decline. 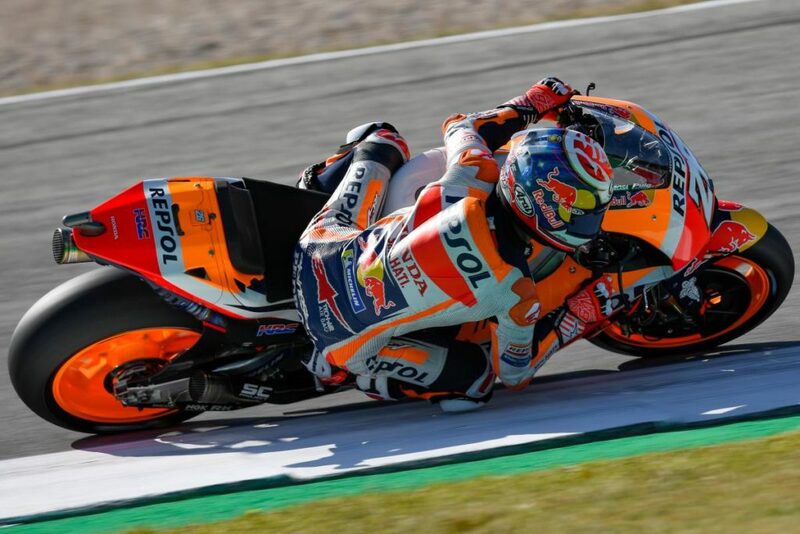 Some of this is probably from knowing that he has to match his pace, but another good chunk would be because the evolution of the Honda has been led by Marquez and his unique gung-ho riding style. All of this knocks confidence. 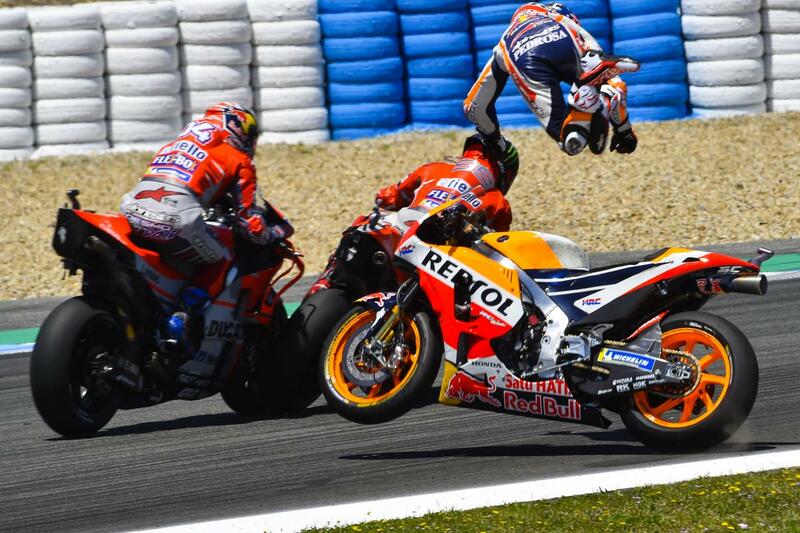 Like Casey Stoner, who quit racing sensationally in 2012 despite still being at the pinnacle of his career, if you are not enjoying it any more and that drive has gone, it’s difficult to keep going, especially if you are as competitive as these guys. The option of another ride is tempting, but the fear of it showing nothing but a steady decline is a daunting one. Dani Pedrosa’s announcement was emotional, but in a short while, possibly even later tonight, he will begin to feel massively relieved. The rest of the year is going to be a good deal easier for him. I suspect a race win or two is on the cards. Next Post 2018 Honda Gold Wing: "Epitomises grand-touring biking"